During the period from 1988 to the first half of 1991 the line-up stabilized in three elements and there is the publishing of the second demo called 'Doom return'. 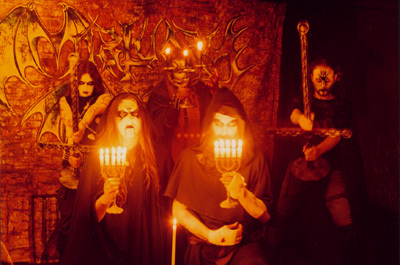 In 1991 they have the first contacts with labels (also foreigners) for a possible record deal; in fact after a few time the group makes its debut with the first CD called 'Into the drape' published by the Greek record company Decapitated rec. immediately followed by the presence on the compilation 'Wine of Satan' for the Spellbound (another Greek label) as the only Italian group on the LP. Moreover we must remember that in this period there's a sudden change in the band where the founder Wildness Perversion is the only one who remains with the double role of voice-drums. 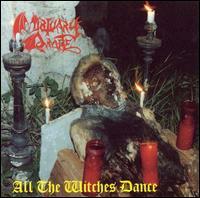 In 1994 there is the second record called 'All the witches dance' for the Unisound rec. In 1995 a new compilation collects the whole groups of the Unisound and in the same year there's the reprinting of the compilation 'Wine of Satan' on CD by the German Soundphaze under Spellbound license. 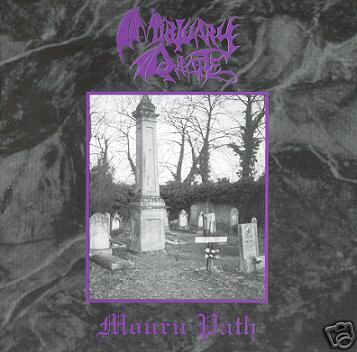 On June 1996 'Mourn path' mini CD marks a new goal for the band that after this success plays in many metal festivals and in other important vents in foreign countries and in Italy: It's in this period that there's an European 15 dates tour that promotes the repertory of the band. 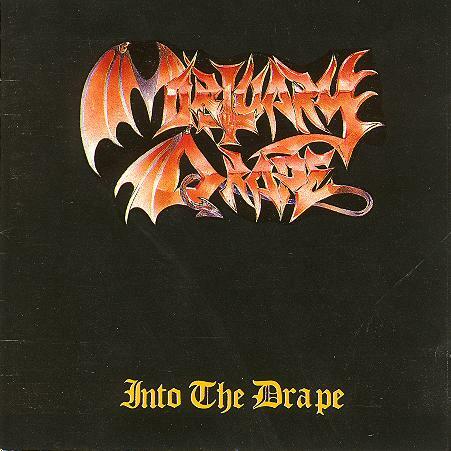 On October 1996, exactly ten years after the Mortuary Drape foundation, with the publishing of the new album 'Secret Sudaria' (eleven pieces) the band makes a partial line-up change with the return of all the founders. The following years, from 1997 and so on, are very troubled because of all the line-up changes with many musicians involved in the band with the two founders Wildness Perversion and Without Name. Finally in 1999 the band is stabilised and thus the members have the possibility to create the draft of new pieces that become the soul of the new album called 'Tolling 13 knell' for he label Avantgarde music. The album, containing 10 brand new songs was released at the end of 2000 and followed a few months later by the double LP version with 4 bonus tracks published by Iron Pegasus under Avantgarde license. After the release of the album and a few live shows in support of it (as for example the festival Darkness upon Italy with Carpathian Forest and the Italian date of No mercy tour 2001) begins a new strong line-up revolution inside the band: in fact all the members except Wildness Perversion and Left-Hand Preacher (now playing guitar) quitted the band during 2001. Fortunately after a short period a new line-up is ready: Wildness Perversion- lead vocals; Left-Hand Preacher- guiars, vocals; and the three new members: Seeker of the Unknown- guitars, vocals; Arcane of Veiled Light- bass guitar, vocals; War Machine Helgast- drums, vocals. In June 2003 Left-Hand Preacher lefts the Band for personal reasons ( Our Thanks to Him for his collaboration ) and he is replaced in August 2003 from the guitarist Cruel Abbot. During the last 6 months of 2003 the band presents the new axeman in three shows (in one show they substitute the only Italian gig of Shining) and continue working hard to complete and re-arrange the songs for the new forthcoming (at the end of 2004) album. At the end of 2003 the label named WILD PROD. reprint the two cult demotapes “Necromancy 1987” and “Doom Return 1989” on cd support, packing them in an original box with renewed graphics. In June 2004 the Drape starti the recording sessions in Alpha Omega Studios (Blevio – Como – Italy) with the collaboration of Alex Azzali (Ancient, Cataract…) of the new album called “Buried in Time”. These sessions end in september 2004. The band is really satisfied of the great work done for the realization of this Opus by Cruel Abbot too. Eleven tracks in pure M13D style compose this CD, this is the new reincarnation of the Drape. M13D prepare to introduce their new work (which is out 20th november 2004 for Avantgarde Music) playing live in Italy with many cult bands such as Blood (Germany), Necrodeath, Horrid and many others. They also contact important foreign managements which will bring the band in an European tour between august/December 2005. The reviews of Buried in Time are all gorgeous and gain higher and higher estimations in Italy, Europe and US. The LP format of Buried in Time is foretold for the end of January 2005 again for the above mentioned WILD PROD. It will be printed in 666 copies, with new graphics. Only 166 copies will be printed in coloured vinil with double cover fire marked: a true “buy or die” for collectors. The Drape is already working for the follower album of Buried in Time, so far they composed two songs. Stay tuned for more news about this.